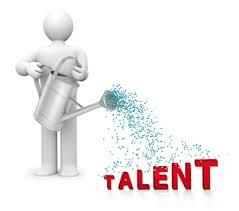 As I see it, one of my primary responsibilities as I teach dentistry is to help my students to develop their talents. They come to clinic with a limited skill set, and limited confidence in their ability. Before they are ready to be turned loose on the public, they must expand that skill set, develop clinical judgment, and become confident in their own judgment, because I will not be looking over their shoulders for very long. Herbie Hancock tells a story of his auditions with Miles Davis and his band. Hancock, then a neophyte keyboard player, reported that Davis started off a tune, and then disappeared. The band continued playing. The next day the same thing happened. After a few days of this, Davis invited Hancock to join the band. Hancock didn’t learn until years later that Davis’ disappearing act was intentional. He knew that young musicians might be intimidated by his presence (I would have been), so he eliminated that distraction so they could perform at their best. It isn’t easy to find just the right amount of supervision. Especially when my students are treating patients, I need to create the right mix of hovering and independence. As they progress and prove themselves, I hover less. Those we lead need to feel some freedom in order to grow. Too much attention produces anxiety, and stifles creativity as well as growth. Of course, supervision also ensures accountability, and that is vital to our success in any setting. Another lesson Hancock learned from Miles Davis was his teaching method. Miles would rarely give a complete answer when a younger musician asked him specific questions about music theory. I had to train myself not to be the “answer man” when I taught. When a student asks me what to do in a certain situation, my response is usually “tell me what you think.” I will frequently ask “what are the options/” and then “which do you prefer?” It is a rewarding experience to watch students reason through an approach to a problem and to see the light come on as they realize the best solution. We know that when an individual reasons out a problem, he remembers the solution better than if the answer is just handed to him. I also try not to ask these questions in a threatening tone. Of course, if your crew isn’t adequately taught and trained beforehand, this can be a recipe for disaster. But with the proper background, questioning can lead to additional growth and confidence. Your team will learn to think for themselves, and you will be able to validate their correct thinking. If you have listened to any of Miles Davis’ recordings (Kind of Blue is my favorite, by far, especially the complexities of So What), it is obvious that he had very high standards. He was willing to teach, but he only surrounded himself with top-notch musicians. The results are unmistakable. As I work with my dental students, I also have the opportunity to work with the best of the best. Admission is extremely competitive, so the standards are high. Some of our expectations are written; some are conveyed verbally. My highest expectations and aspirations for my team of students are unspoken, but they feel it, and most want to measure up. Along with the basic graduation and licensure standards, I expect consistent improvement from each student, and encourage them to become the best dentist they can be. Some of our goals are individualized, based on each individual’s potential. In most of our teams, we won’t have the cream of the crop: there will be a diversity of talent and ability. That’s fine. Our challenge as a leader is to personalize expectations so that each individual is competing with himself. This tends to build collaboration and a better team spirit. And there is nothing wrong with team members lifting each other. Of course, there are some areas where the team members should be competing with each other (sales), but the team effort is important. We all lead humans. Mistakes are inevitable. Miles had it easy in that sense. In rehearsals, he could stop everyone and start over. In dentistry, we don’t often have that luxury. Things don’t always go as anticipated, or a student neglects to get advice when he or she encounters the unexpected. In order to develop the talents properly, correction must be given. On occasion it is necessary to express disapproval and to respond vigorously and quickly. At other times a quick sidebar can be held, out of earshot of the others. But if mistakes are allowed to continue, change is unlikely. We have been encouraged, following a procedure, to help the students to evaluate themselves, in order to promote clinical judgment. I have found that asking questions is the best way to encourage my students’ self-evaluation skills. I prefer to close the discussion with encouragement to do better (perform, make decisions, communicate, etc.) the next time. Sometimes an assignment is given to review technique or practice before attempting the procedure again. In some cases, we will redo the procedure the next time in order to bring it up to standards. Positive feedback is vital to improvement. Ralph Waldo Emerson said “Every artist was first an amateur.” A good leader should provide the necessary support to transform his team into true professionals. Hard work, commitment, and talent will help to make it happen. This entry was posted in Leadership, Talent, Teaching and tagged answers, correction, expectations, Herbie Hancock, kindness, Miles Davis, questions, talent by 2thdocbob. Bookmark the permalink.